 Health Services at Newberry College contributes to the physical, academic, emotional, and social development of students by providing quality healthcare for students. We do this through offering free general healthcare services, and by counseling students who are experiencing emotional/behavioral or learning difficulties. We are also committed to promoting healthy behaviors for all students through health education. Health and Counseling Services operates with a commitment to confidentiality, ethical behavior, and practices that reflect current research and professional standards. Monday - Friday, 9:00 a.m. - 3:30 p.m. We are located behind the Science/Math building and across from Brokaw Hall. Services on campus are free of charge to all full-time students. Assessment and treatment of acute illness. Physician services are contracted with Compass Family Medicine, P.A., for illness, injuries, and ongoing allergy injections. The physician's service bill is separate and filed through the student's private insurance. Students will need to provide insurance information and co-pay for physician services. Referrals to other resources on campus and within the community. Consultation and educational services to assist in fostering an environment supportive of the intellectual, emotional, and social development of students.